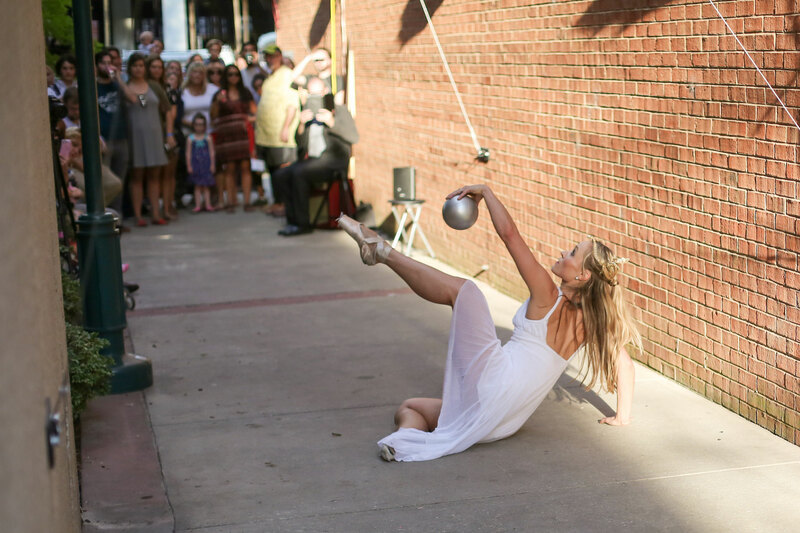 Have you seen the amazing, decorative, interactive alleyways around Chattanooga? They’re not just pretty to look at, or take a photo with, they’re part of an architecture exhibit meant to exemplify the potential of often overlooked spaces in the city center. 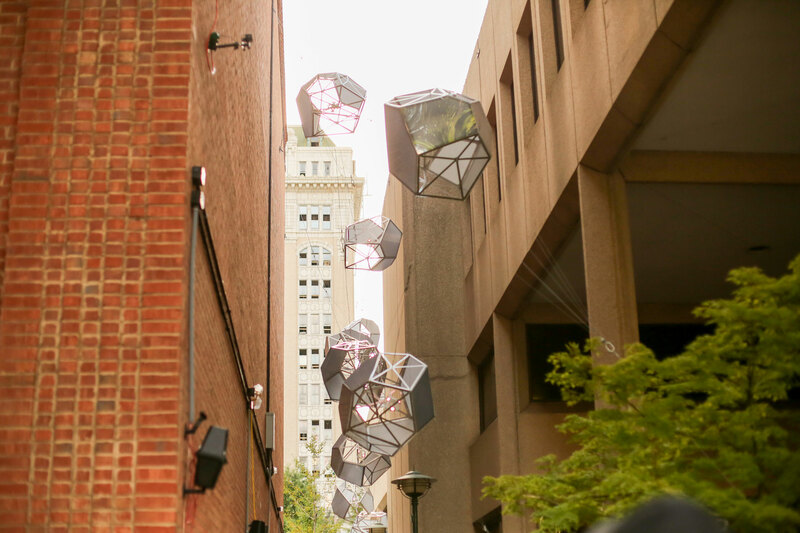 Passageways is basically an outdoor interactive art exhibit and was presented by the American Institute of Architects/Tennessee Society and River City Company as an outreach project to reclaim and revitalize ignored public spaces. Last summer, the AIA Tennessee and River City company held a worldwide design contest with the goal of turning Chattanooga’s most underutilized urban spaces, alleyways, into interactive, engaging environments. Tons of designs were submitted and five were eventually selected to represent the project. 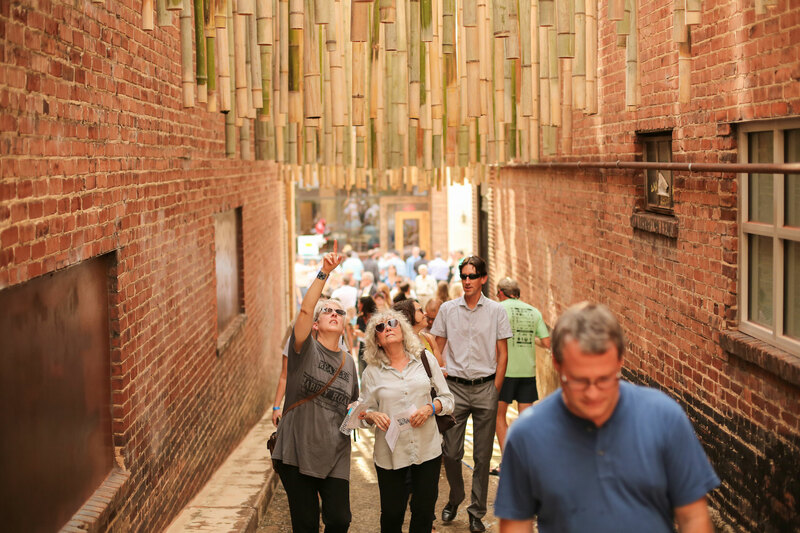 In August 2016 designers, artists, and architects flocked to Chattanooga and spent one-week installing their winning designs into four forgotten alleyways. The five installations, two of which were designed by local design teams, were meant to be temporary exhibits, projected to last for approximately six months depending on how they weathered. All five, however, are still going strong and are expected to last at least until this summer when River City Company and AIA Tennessee decide whether to make them permanent establishments. The exhibits are clustered around the 700 blocks of Market, Cherry, and Broad Streets and each features a beautiful, innovative concept. 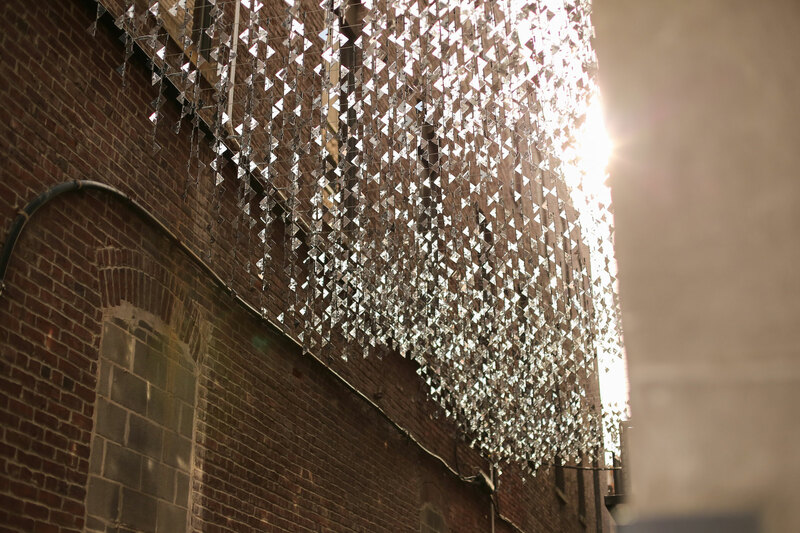 Urban Chandelier - 709 Cherry Street From Office Feuerman in Sydney, Australia, this alley features over 6,000 reflective styrene triangles reflect natural daylight and artificial night light to create visible light patterns. Garden Grass (Inversions) - 730 Cherry Street Chattanooga’s own Team GFB created this installment by suspending locally sourced bamboo from cables above the alley. The bottom half of the bamboo hangs freely to produce movement and sound as it captures the breeze. Neural Alley - 721 Broad Street From Revenge of the Electric Woman in New York City, this alley consists of two pixelated images of the Tennessee River created by a series of painted blocks. 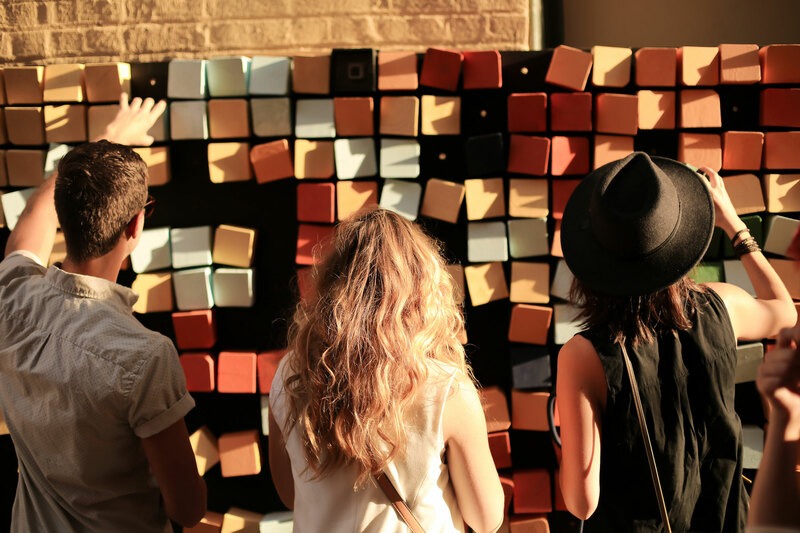 The blocks are all adjustable, allowing visitors to move them and create unique new pictures which are digitally captured throughout the alley. Stargaze - 715 Market Street Created by Brooklyn, New York’s Heavy, this alley contains a network of suspended interconnected lights that utilize NASA’s Star API to glow and mimic the night sky. Stage Genies - 715 Market Street From Art 120 and Studio Mindstride in Chattanooga, this installation is a series of connected cameras, speakers, and computers that tracks the movement of the alley’s visitors and responds with music. To learn more about the Passageways project or view photos from the opening of the installations, visit the website.